Today, Corvette enthusiasts celebrate the anniversary of the day the first Corvette was produced in 1953 with the 16th annual “Drive your Corvette to Work Day.” The National Corvette Museum in Bowling Green, Kentucky, encourages enthusiasts to share photos of their Corvettes on the museum’s Facebook page, and a winner will be randomly selected to receive one of the bricks from the original Corvette factory in Flint, Michigan. The AACA Museum in Hershey, Pennsylvania, celebrates Independence Day on July 4th with free admission to active military families and invites all museum goers to view the Hershey Park fireworks from the museum’s grounds. Guests can bring blankets, chairs, or snacks, but alcoholic beverages will not be permitted. The Ice Cream Express will be on site at 8:30 p.m. and guests are welcome to tour the museum for $7 per person between 5 and 9 p.m.
On July 8, the AACA Museum celebrates the seventh annual National Collector Car Appreciation Day with car rides in vehicles from the museum’s collection and complimentary ice cream from 11 a.m. to 1 p.m. Each year, the appreciation day is celebrated to raise awareness of the role that automobile restoration and collecting plays in American society. The Auburn Cord Duesenberg Museum offers discounted admission to those who drive their classic cars to the museum in Auburn, Indiana, on July 8 for Collector Car Appreciation Day. The Blackhawk Museum’s “F1rst Sunday” Cars and Coffee takes place July 3. Coffee will be available at 8 a.m. at the Plaza on the museum grounds in Danville, California. 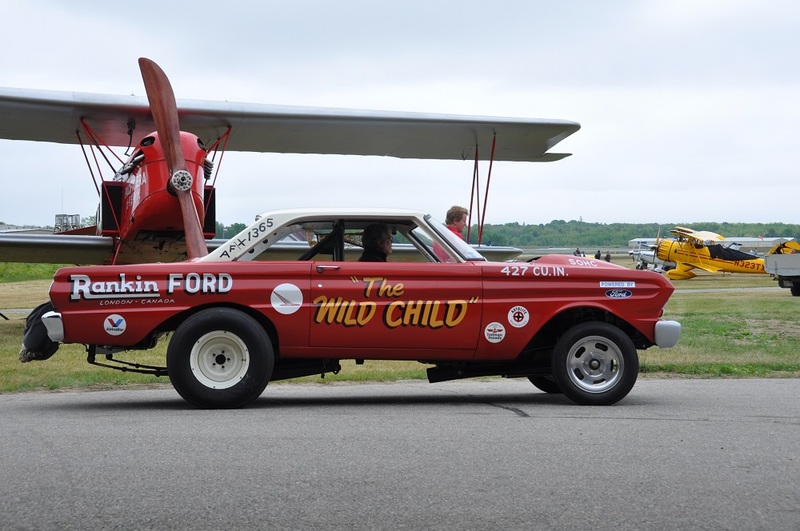 On July 9 and 10, the Owls Head Transportation Museum in Maine holds its annual Hot Rod, Custom & Muscle Car Cruise-in and Antique Aeroplane Show. 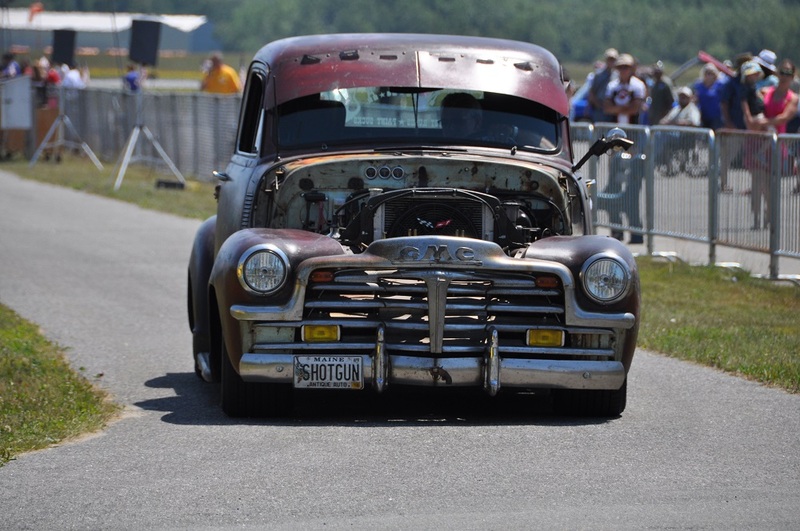 Visitor gates open at 9 a.m. and the museum notes that while the theme of the show is custom vehicles, guests arriving in their pre-1996 vehicles of any marque or model will receive free admission at this show and all other museum events. The Gilmore Car Museum holds the fifth annual all-German car show at the museum in Hickory Corners, Michigan, on July 9. The event features such brands as BMW, Audi, Mercedes-Benz, Volkswagen, Porsche and others. 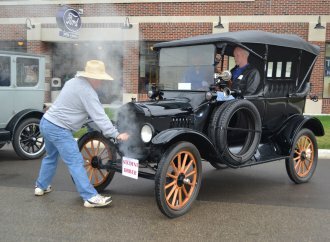 The following day, the museum holds its 26th Mad Dogs and Englishmen British Auto Faire, a British car show. 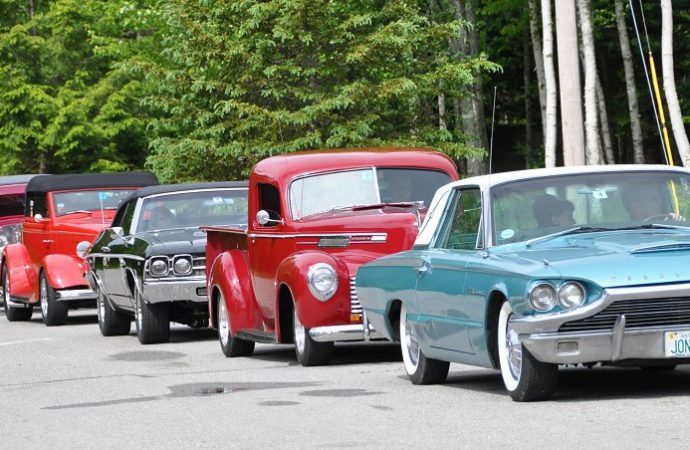 The Seal Cove Auto Museum in Maine holds “Cars and Coffee” on July 9, from 9 a.m. to noon. The British Motor Museum in England anticipates 600 vehicles composed of light commercial vehicles such as pickups, ice-cream vans, campers, taxi’s, hearses and police cars to show at the museum’s Classic Van & Pickup Show, set for August 7. The museum holds the “Buses Festival” on August 21, set to feature up to 100 restored, vintage and modern buses and coaches. The Automotive Hall of Fame in Dearborn, Michigan, plans Cars and Coffees for August 27 and October 15. The National Corvette Museum celebrates its 22nd anniversary in conjunction with “R8C Museum Delivery” over Labor Day weekend. The anniversary and R8C include car shows, seminars, road tours, and the Corvette Hall of Fame Induction ceremony. Bob Bondurant, Ralph Kramer, and the late Donna Mae Mims will be inducted. The California Automobile Museum in Sacramento, hosts “Cruise Fest on Fulton Avenue” on September 10. Cruising runs from 4 to 6 p.m. with the festivities continuing through 8:30 p.m. The event is free and features live music, breweries, vendors, and food trucks. 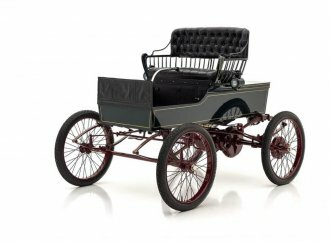 The 2016 Automotive Hall of Fame Induction & Awards Gala Ceremony is set for July 21 in Detroit, Michigan, and honors inductees Bertha Benz, Roy Lunn, Alan Mulally and Ralph Nader, in addition to Matt Simoncini as Industry Leader of the Year. The World of Speed Museum in Wilsonville, Oregon, offers a “simulator race series” with the simulator set in “damage mode,” meaning cars will behave and sustain injury as in real driving. Participants get a practice run and qualifying run July 28, August 25, and September 29 from 5:30 p.m. to 8 p.m. Drivers with top qualifying race times advance to the finals on October 27. 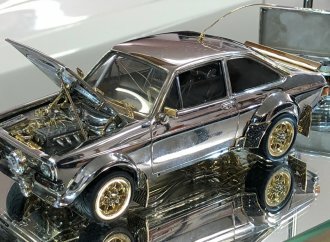 The AACA Museum opens a new exhibit October 5 during its “Night at the Museum” event, between 6 and 10 p.m. Foods and cocktails are available with a Route 66 flair along with a silent auction, entertainment and automotive artist gallery. Wayne Carini, host of “Chasing Classic Cars,” presents “A Collector Car Conversation” with car collector Ralph Marano and moderated by Bill Warner, founder and chairman of the Amelia Island concours. October 21-22, the Simeone Museum hosts Corvette Racing program manager Doug Fehan and two-time Le Mans-winning driver Tommy Milner for a two-day celebration dedicated to Corvette Racing. Highlights include dinner, a meet and greet, Demo Day, memorabilia auction and autograph session. “E.L. 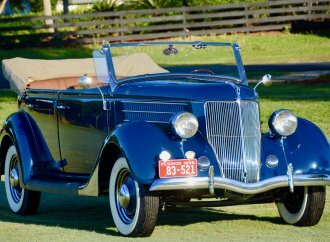 Cord – The man, the myth, the legend” is the topic of discussion July 20 at the Auburn Cord Duesenberg Museum. Presented by the museum’s curator, Jon Bill, the discussion celebrates E.L. Cord’s 121st birthday along with birthday cake and punch. 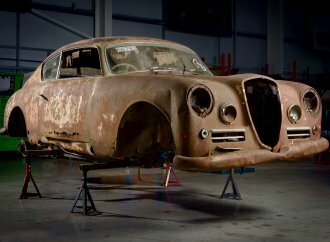 The British Motor Museum is celebrating the British car starting July 23 and running through September 4. Various workshops will be held Tuesday and Thursday each week with activities including building British cars with Legos, creating your own card Land Rover, Mini or E-type Jaguar, and creating a car out of balloons. Bobby Rahal, winner of the 1986 Indy 500 and the first Indy driver to complete the 500 miles in less than three hours, is slated to appear at the Blackhawk Museum on November 12 as part of the museum’s Speaker Series. The National Corvette Museum in Bowling Green, Kentucky, is working on a new exhibit and looking for a Mobil gas station display from 1954-1961 and Corvettes in rare colors to display. 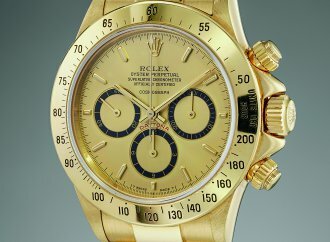 Examples include a 1957-59 Inca Silver, 1960 Cascade Green, 1977 Corvette Chartreuse, 1990 Competition Yellow, 1994 Copper Metallic, 1996 Dark Purple Metallic, 2000-2001 Bowling Green, Aztec Gold, and 1998 Navy Blue Metallic. Interested owners or recommendations are encouraged to submit information through the museum’s website. The museum also features an IndyCar exhibit in celebration of the 100th running of the Indianapolis 500. Held in the museum’s exhibit hall, the display features racing through the years and is set to run through October 14, 2016. Running through September 11, the California Automobile Museum features “The Pickup Truck: Where utility meets the everyday.” The new exhibit looks at the transition of the American pickup truck from a work vehicle to a personal vehicle with examples from the 1920s through modern day. The AACA Museum has a new exhibit, “Early Off-Roaders,” running through October 15. The exhibit celebrates the 50th anniversary of the Ford Bronco in addition to the 75th anniversary of the Jeep. Located in Nashville, Tennessee, the Lane Motor Museum opened a new exhibit, “Macchine Italiane: A Tour of Italy’s Motoring Spirit,” which runs through May 22, 2017, featuring more than three-dozen vehicles — race cars, motorcycles and bicycles that demonstrate Italian design and engineering from 1936-2012, with cars that range from the Fiat 500 to the exotic Lamborghini Urraco.